Pekich played two seasons of indoor volleyball at Irvine Valley Community College, with the team posting a 52-2 record and one state title. 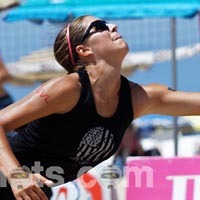 She also played two years in beach volleyball for Irvine Valley, and won the California Community College Athletic Association Pairs Tournament Championship. She transferred to Long Beach State to play beach volleyball.